This weekend was my monthly library trip and lots of Father's Day celebrations. 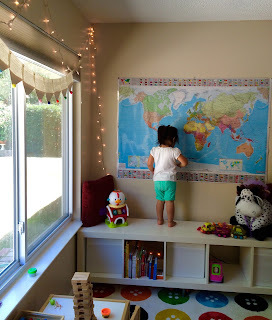 As part of my husband's gift we gave him a World Map, and he chose to put it up in Luna's play area so all three of us can constantly look at it and plan our adventures. The highlight of this gift has been her reaction. She loves the map! Below our the books I picked up for myself. As mentioned in this post, I am starting a new series of becoming a Tourist in my own Town, and the Fodor's Northern California book is for my research. 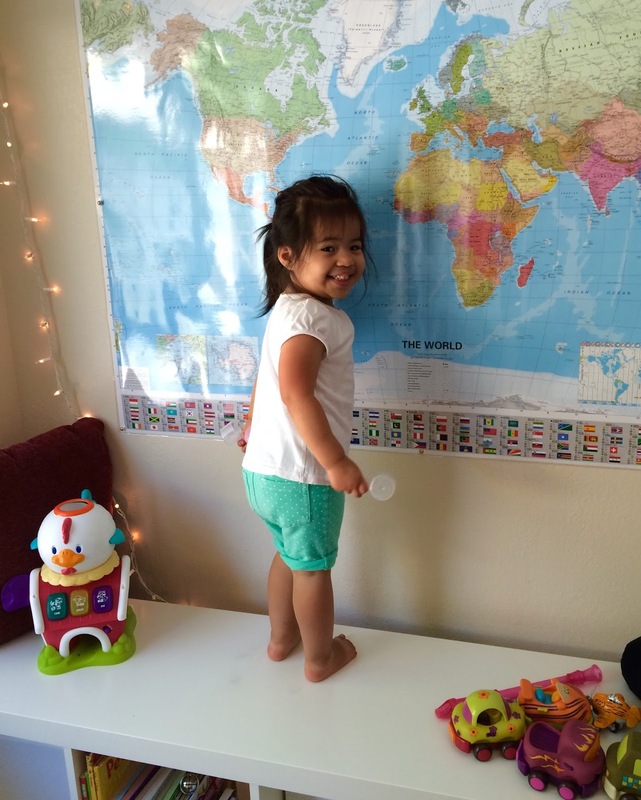 I also have been hearing great things about The Smartest Kids in the World, and so far I understand the hype. 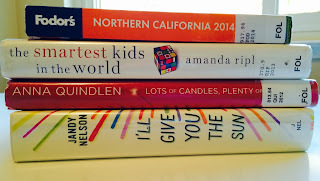 I am a bit of an Anna Quindlen fan and I am looking forward to reading Lots of Candles, Plenty of Cake. 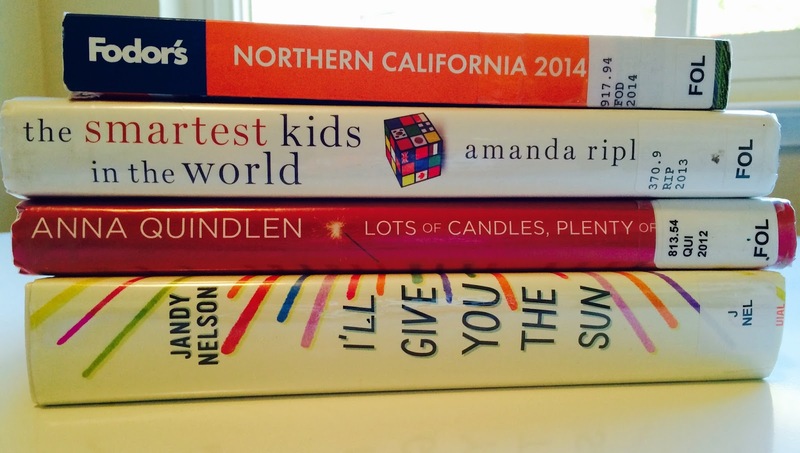 Lastly, my current light readings have been Young Adult, and I'll Give You the Sun has great reviews. Luna's library books are Giraffes Can't Dance, Rosie Revere Engineer, Steam Train Dream Train, Dream Animals, The Little Engine That Could, and Dear Zoo. My favorites so far are Dream Animals and Giraffes Can't Dance. One of my favorite reasons to check out library books for Luna is it helps us narrow down which books we want to actually purchase. 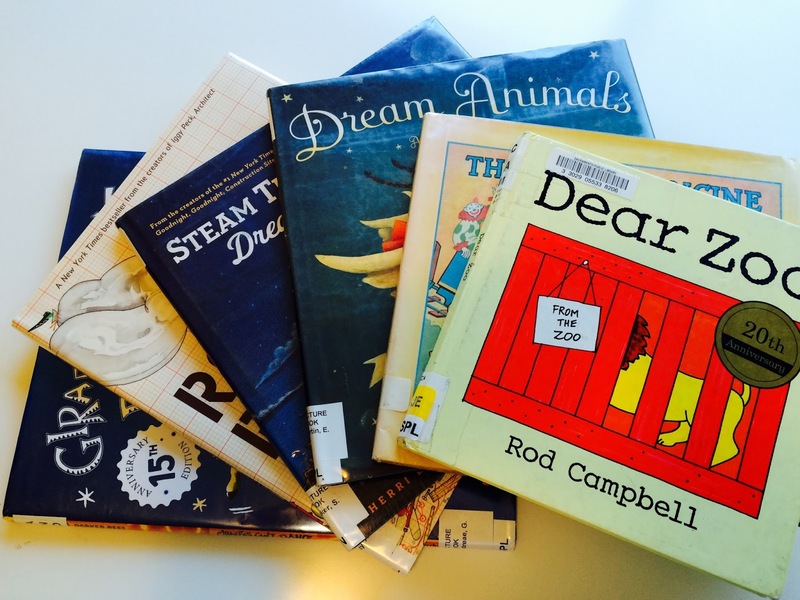 The biggest tip I can pass along for library trips with toddlers is to place books and videos on hold. If Luna goes with me to the library, we can play in the toddler area, and I know we have a great selection of books on the hold shelf.